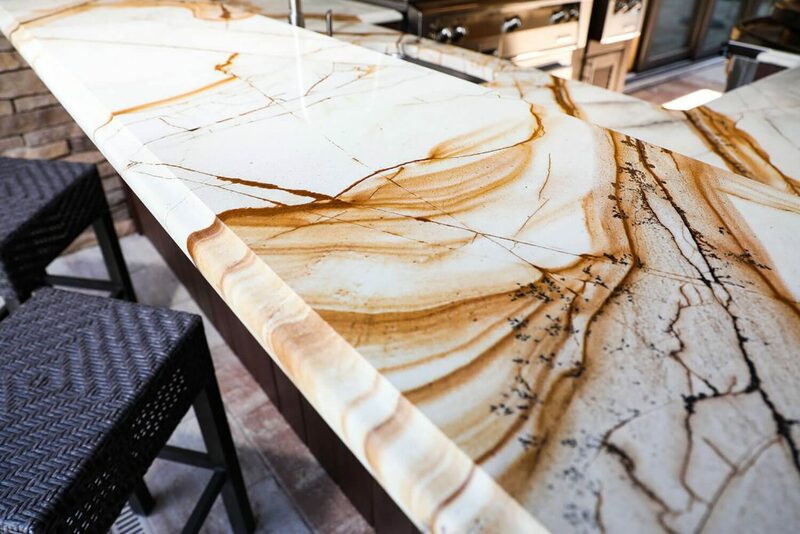 The first thing that catches our eyes with this project is the gorgeous countertop. A very high-end and unique selection that looks as stunning in-person as it does in pictures. 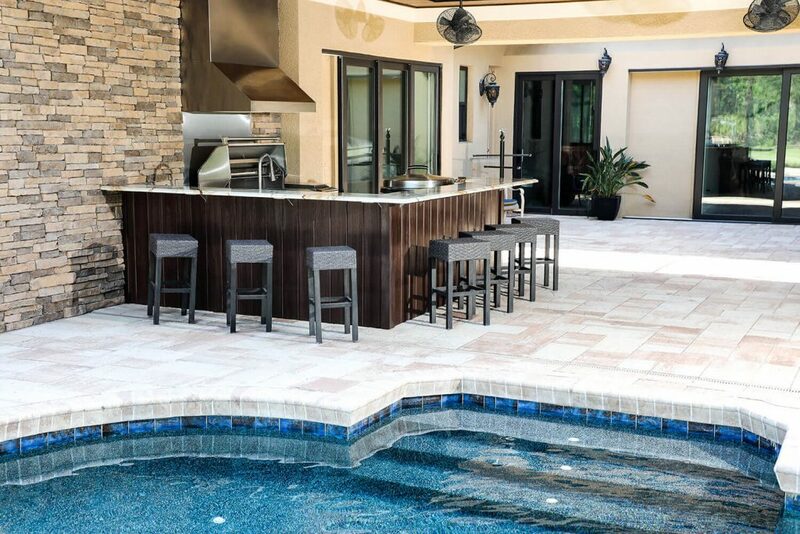 Just Grillin took empty patio space and added the kitchen and stone accent wall for this project. 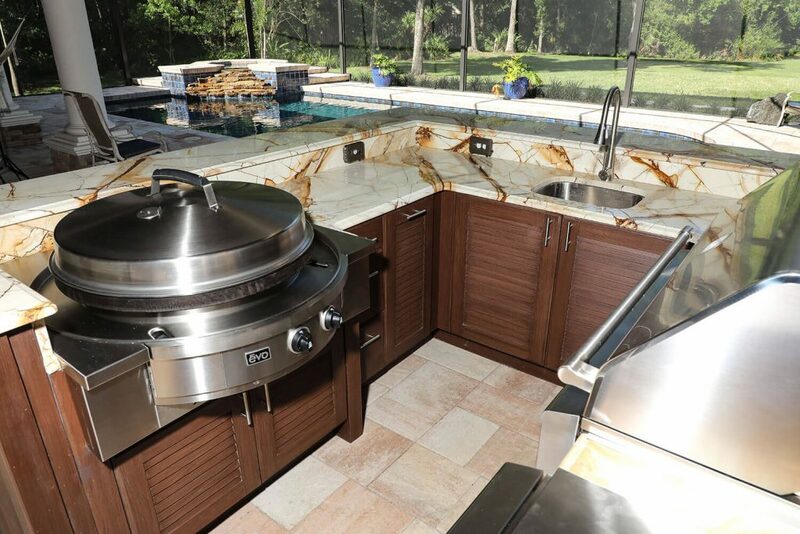 The kitchen base is constructed from encpsulated polymer outdoor cabinetry. These cabinets can be made in a variety of colors and do not fade, warp or crack. To help keep the area free of BBQ contaminents and smoke, a vent hood was added to keep the area clean. 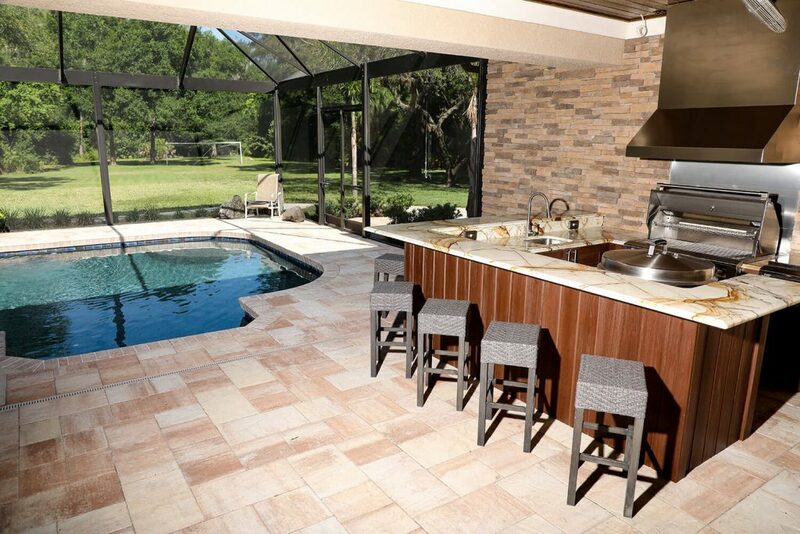 The kitchen features a raised bar height counter for guests to gather around on the outside. 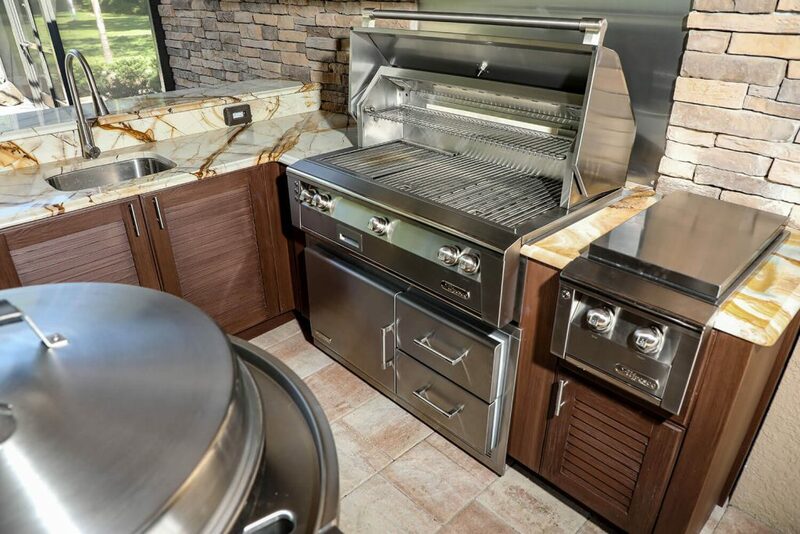 This kitchen features two grills, both different and perfect for entertaining family and friends. 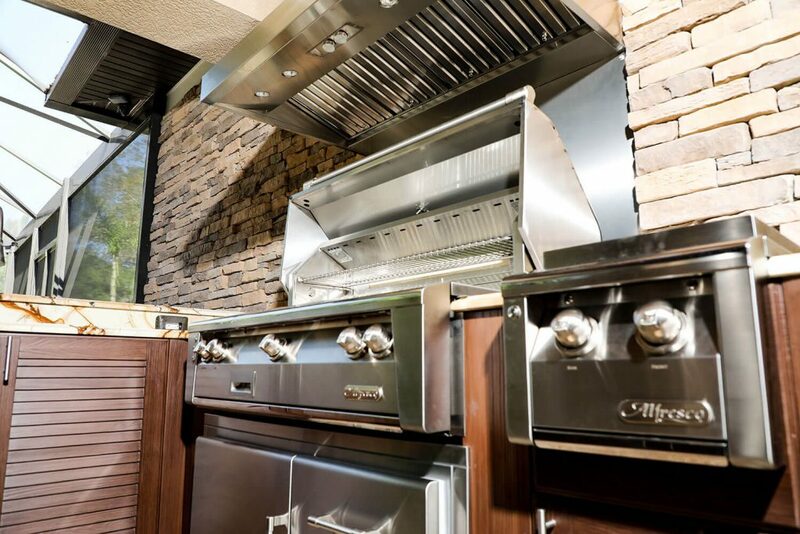 This kitchen features appliances from Alfresco Grills, EVO Grills and Zephyr Ventilation.